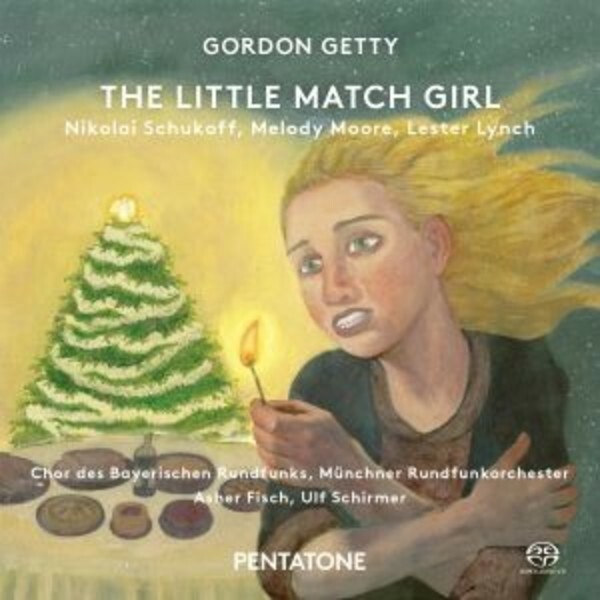 As is often the case in the vocal compositions of distinguished American composer Gordon Getty, many of the pieces collected in 'The Little Match Girl' are based on, or inspired by, poetry from the nineteenth and earlytwentieth centuries. This SACD starts with 'A prayer for my daughter' for chorus and orchestra, based on the poem by William Butler Yeats which is, according to Getty, �...one of the most admired works by one of the most admired poets of the age�. It is followed by 'Poor Peter' for tenor, chorus and orchestra, with lyrics by Getty himself inspired by Poe and again Yeats. Then follows the titular 'The little match girl' - the heartbreaking fairy tale by Hans Christian Andersen, put to music more or less word-for-word in a challenging setting for the orchestra and particularly the chorus. The disc comes with a booklet containing the complete lyrics to all the pieces as well as personal comments about the music by the composer himself, which enriches the listening experience. This recording by the M�nchner Rundfunkorchester and the Chor des Bayerischen Rundfunks was conducted by Asher Fisch and Ulf Schirmer ('Joan and the Bells'). It features magnificent soloists, such as tenor Nikolai Schukoff ('Poor Peter'), soprano Melody Moore ('Joan and the Bells') and baritone Lester Lynch ('Joan and the Bells').